Salmon always tastes great whether it is simply baked, steamed, or smoked. It goes perfectly well with a lot of dishes and always seems to add a refined vibe to the dinner table. It’s also low in calories and a great option if you’re trying to lose weight. 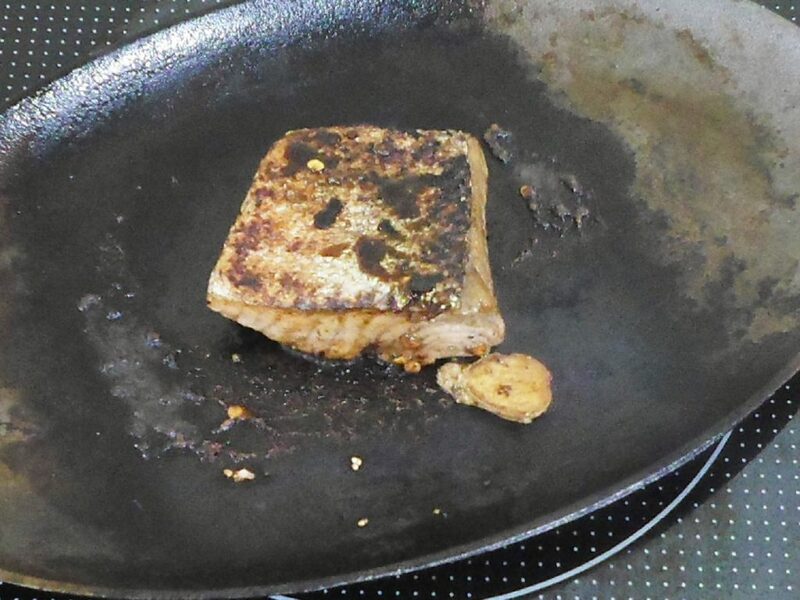 For a new take on salmon and a more exotic way of preparing it, try this fat burning soy salmon recipe over steamed rice. The sesame oil and spices give the salmon a unique and delicious flavor. Let’s Cook Up Some Salmon! 1. Prepare all the ingredients. 2. 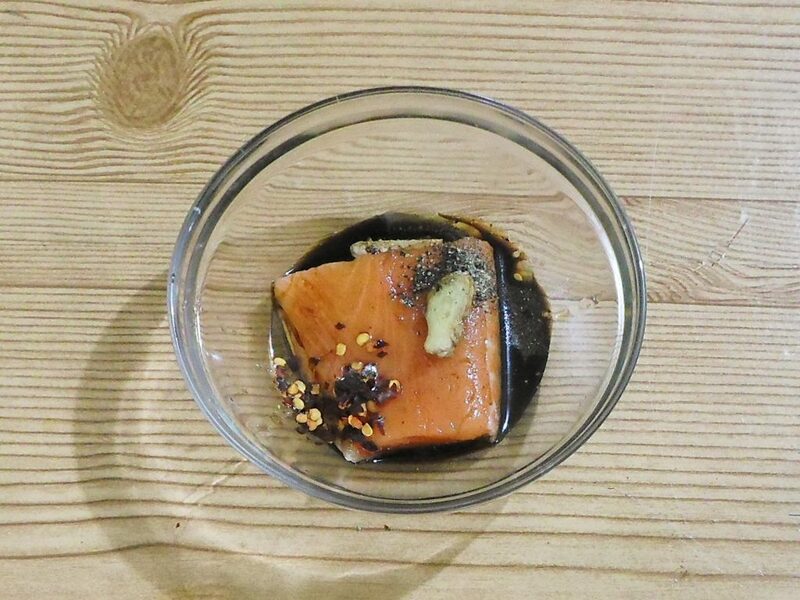 Marinate the salmon in the ginger, sesame oil, soy sauce, red chili flakes and black pepper for 30 minutes to 3 hours prior to cooking. 3. 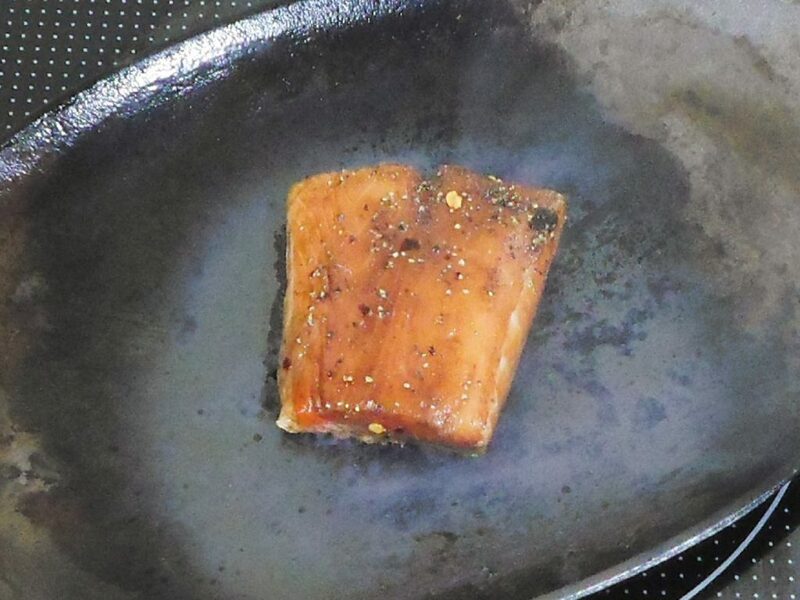 Start cooking by heating up a pan to medium to high heat and cooking the salmon skin side down. This prevents the fish from sticking to the pan as well as prevents shrinkage of the meat. 4. Flip and cook the other side after 3 minutes. Spoon the marinade over the salmon as it cooks. 5. Serve over steaming hot rice garnished with sesame seeds and some greens like spring onions or parsley. Enjoy! Salmon is a personal favorite of mine. It’s so easy to prepare and so good for you! Try to include salmon or other fish in your diet at least once a week for good health.